50 Ways to Fight, 50 Ways to Feel Like A Champion! All I have to say from this past race is "WOW". 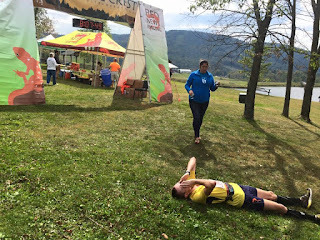 I have never left this much on the line in an ultra before and have been able to hold it together for the full 50 miles. Yes, it was not a perfect race, but I am still in shock with how GOOD that I felt for so long in the race. I would say I felt perfect for 37 straight miles the heat got to me in a 7.6 mile stretch without any aid. The photo below sums up how much energy and spirit I put into this race. #1. Be at ease with the present moment, be calm, still, and silent like the night. #2. Eat lots of good food that does not weight you down. #3. Wear a headbuff. It helps eliminate a headache from wearing the headlamp too tightly. #4. Take it easy, it's a long way to go. #5. Drink plenty of fluids. #6. Compression is your best friend. #7. Gels can be just as good as a preventative measure than just some grub for your tummy. #8. Be courteous to others, pay it back. #9. 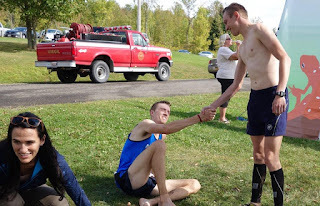 Camaraderie out on the trails is priceless. #10. Feel the energy of your environment and roll with it. #11. Ski Slopes are hard. Take your time, walk most of it, and remain in constant motion. #12. Do not over-do-it! Fuel, drink, walk, run, enjoy the view. #13. Get the blood flowing, those hills can take it out of you. I think it is time to run a little bit more. # 14. Am I lost, I am following markers. When the trail is slightly overgrown, keep following the pig tail markers, it should get you to where you need to be. #15. GPS watches are over-rated. Go Wal-Mart watch! I should be by the TrailsRoc Aid Station soon. #16. I see people, I see signs, that is a great sign. I still feel great. Time to re-fuel and keep running smooth. I am back on course so my doubts of going the wrong way can dissolve. I am back in this thing. #17. The Orange Trail at Greek Peak is Awesome. It is wide, gravely, and fun. I love this section and have trained on this a bunch. Off to the pile of Rocks I go! #18. Boom Gels every 45 minutes have been working wonders for my energy levels. I still need to ride the wave and run more controlled until 50k. I can open it up a little but still need to remained controlled. #19. Alright, I love this section. I am going to drop my pace. Lets see if I can hit sub 4 hours at half-way. That pace would place me under the 8 hour course record. #21. 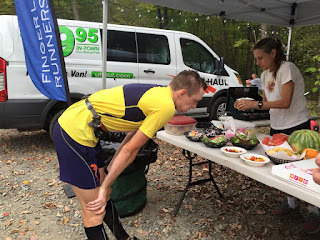 Trail Runner Magazines= Rock Pile Aid Station. That was a pretty cool lead-up to the Aid Station. #22. Man, these Mammut MTR 201 Tech Low shoes really feel great on my feet! I feel like a million bucks. In the aid station at Rock Pile in 3:52! I am running super solid. I feel even better than mile 1. #23. Alright, I have about a mile lead. Time to build upon that lead. What a beautiful day. I feel so good. When the going is good, roll with it. #24. 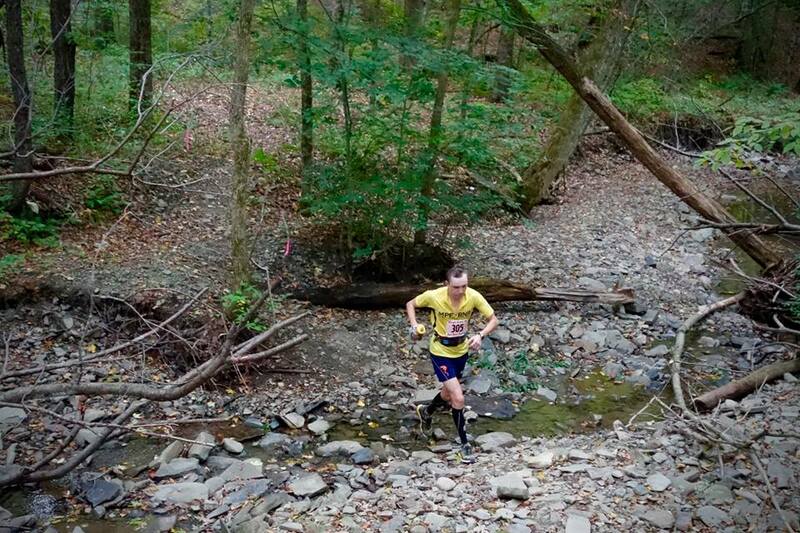 Dry creek crossings mean I need to dump water on my head at every aid station. #25. I am not a fan of these sand dunes on the trail. I try to stomp on them and I sink in. I just have to keep moving along. Still a long way to go. #26. 50k in at 4:32! Um, I ran that last section like a Greek Spartan! I feel so good at 50k. This is scary. By far the best I have ever felt in an ultra. 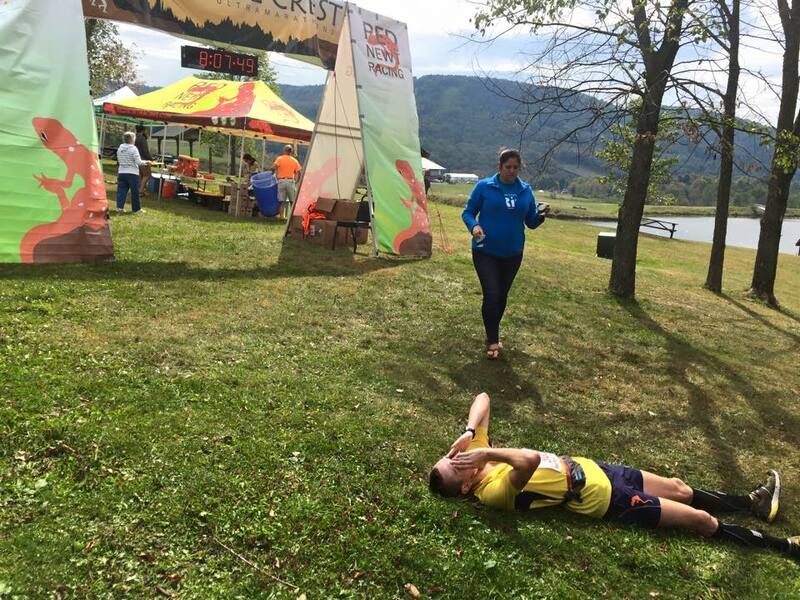 Everyone at the aid station seems kind of chill. #28. Time for more ski slopes. I think I should have a decent lead at this time. I still need to put the pressure on. #29. 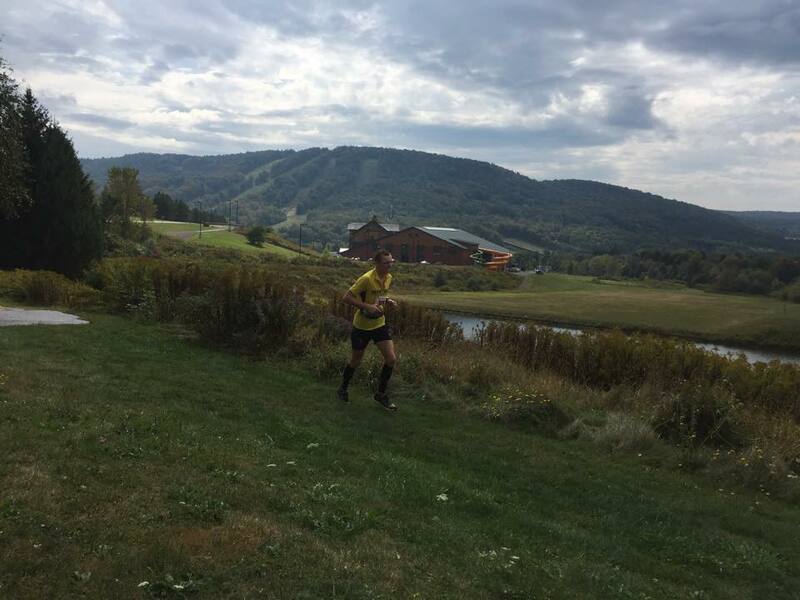 When running up ski slopes the second time, be smart, do not hammer the downhills, and know this is by far the most-difficult section of the entire race. If you can come out of this section in one piece, that can be the deciding factor. #30. Power-hiking can be life and death for you here. If you can manage a 13 minute/mile split hiking, that will give you the edge. Conserve energy, fuel intelligently, and stay as cool as possible in the exposed sun. #31. Hey look it is Ian with his video camera. I am in shock with how good I feel. I have no muscle soreness, fatigue or tightness. Today must be my day. I let Ian know that in his video. #32. I am getting a little warm but still feel great. Getting ready for that big descent. #33. Here it is. Well, this is very steep and slick. I am going to take it easy until I am almost all of the way down. #34. WEEEEEEEEEE!!! That last downhill part was fun. #35. Time to work it up this hill. I am almost out of this section. Or that is what I thought. #36. Man, I am getting a little tired. My legs feel still fantastic. I surely wish I was wearing a hat and had some water to dump on my head. #37. Man, this section was much longer than anticipated. Maybe I am slowing down? Remain focused. This section is the hardest stretch of the race. Run this well and tackle Carson Rd's long climb and then the race is almost over. #38. Do not get lost Cole! Be smart and pay attention to those course markings. Alright, the descent into the next aid station should be solid. Yeah, your legs are starting to cramp and you are out of water. Time to just tough it out. #39. Tenkate's Crossing the second time is the most crucial aid station of the entire race. If I do not take the time to splash in the creek, fuel with delicious fruit, drink tons of soda, I will suffer the last 13 miles and lose my attempt to break 8 hours. Looking at my watch, I am well under course record still. I just need to maintain my pace. #40. My legs are not feeling so good right now. This is hot. I hope I do not get sun-burn. Man, Carson Rd if a death sentence. I have to run as much as possible though I want to walk it all. I need to keep the pressure on to make sure I can hold my lead to Silas and Jim. I know they are strong second-halve runners so I have to push here. 30 seconds hike, run for 2 minutes. C'mon Cole. This is how we get it done. #41. Carson Rd is done. I lost time here for sure but my legs are tight but I can pick up my pace. These next 10 miles mean everything. #42. Ian tells me I am about 20 minutes up on second place. I feel okay. I tell him that I should be able to maintain this pace. I believe I am running 9 minute pace. #43. Once I hit the first hills near the snowshoe trails, I am flat. I feel over-heated, nauseous, and I am cramping. I cannot run these uphills. I just have to hope and pray I do not get caught. I am a sitting duck right now. Just have to keep forward progress and hope that it is enough. #44. Man, this ultra thing hurts a lot. I forgot how much I dislike a 50 miler's last 10 miles. Mind over matter. #45. I am cramping bad. There goes the race. I am out of fuel. I still have a few miles until the next aid station. I would say I am running on a prayer here. Let us see what I can get out of myself. #46. The long descent into the last aid station is one of my favorite parts. The downside is that I have 5.5 more miles. I need to fuel-up here. I am not feeling so good. #47. This last part of the race is torture. People say this section is mostly downhill but every little log or undulation is killing me. Just hold on Cole. If I average 10 minutes a mile, I run 10 minutes under the record for a 7:50. #48. Well, the record is going to be out of reach. I am in the Nordic trails a few miles from the finish and my watch reads 7:55. I do not think I am going to make it. Hey this rain feels great but I have to watch my footing. #49. Run this last lap around the lake. The race is over…almost. #50. 8:04:55 watch time for the VCU 50 miler. 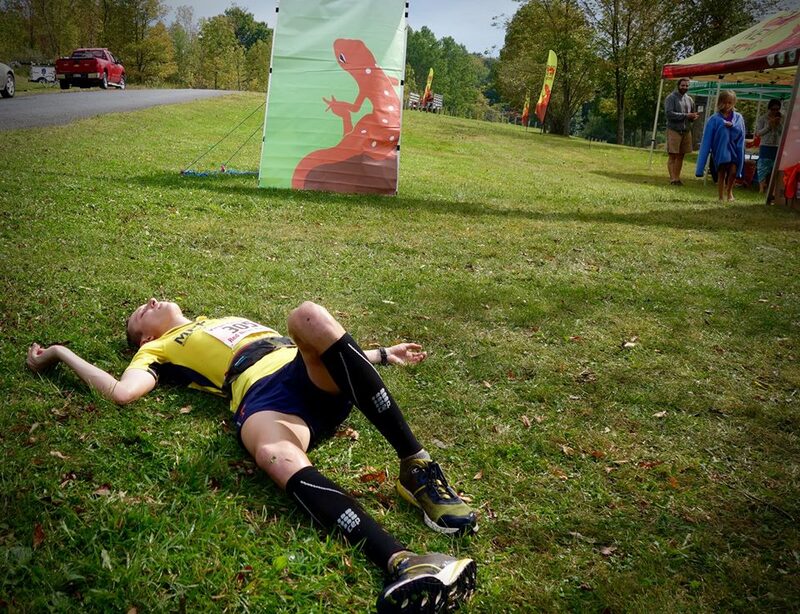 On a course that was labeled as "much harder" than the course I raced in 2013 and set the 8 hour course record. Amazing Race, Amazing People. Amazing Experience. Ski Slopes in the background highlight the tenacity of the course. Photo Credits: Elizabeth Azze. Ashlee coming to save me. I am spent. Photo Credits: Elizabeth Azze. There you have it. I raced one of my best ultras to date. 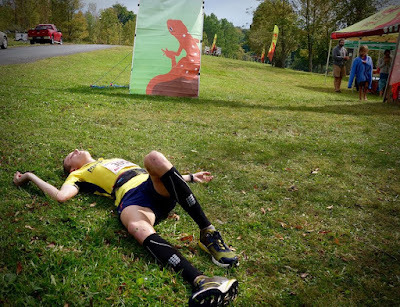 I felt Unbreakable for 37 out of 40 miles on a course that should induce fatigue by mile 14 by the latest. 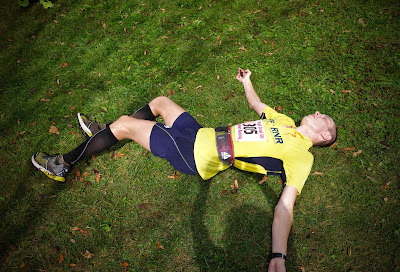 The heat and the longer stretch in aid stations towards the end of the race got to me and weakened my strong state. That is okay. I learned a lot from the event. I learned that my training has been paying off. Though things may not always go your way, how you handle those moments of adversity are what I feel are the make of a champion. This year's race was an incredible experience and I look forward to the next Virgil Crest. Thank you to RD, Ian Golden for putting on an amazing race and event. Thank you to all of the volunteers for your continued support and help. This race to me is like Family! I love the people that make-up this event as it is because of you that makes me come back to this each and every year. Thank you to my friends, family, My true love, Ashlee and to so many others. Thank you to my sponsors: Mammut North America for being my prime company support in all of my running and life endeavors. You took a chance on me and I am so blessed to have your support behind me every step of the way. Thank you to Boom Nutrition for giving me the best fueling capabilities in your gel products. I love the natural fruit flavors and extra carbs. Thank you to the Azze family with Mountain Peak Fitness and Red Newt Racing for your continued support, the awesome photos, and your inspiration. Thank you to Fits socks for the best in merino athletic socks. Blisters have never existed once thanks to your products. Thank you to Karhu North America for the best in training shoes for the roads. Not only does your fulcrum help my efficiency, but your shoes are just plain cool. Thank you to Craft Sportswear North America for all of the best gear and clothing for training. Thank you Redfeather snowshoes for the ….BEST SNOWSHOES EVER. Having a snowshoe named after me: the "ColeVapor" is probably the coolest thing ever. Thank you for that. And thank you to SUNY Oneonta for an incredible coaching opportunity where I have loved every second helping to motivate our school's student athletes. 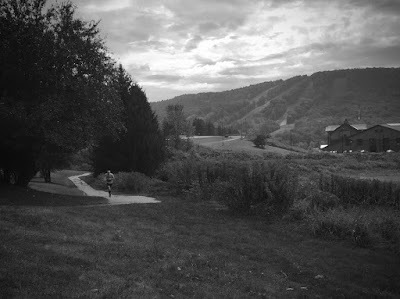 Time to rest, begin hill training for the Tussey Mountainback and enjoy pumpkins since it is now officially the Fall!!!! 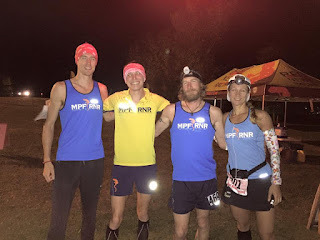 *It was amazing to race with Silas and Jim for a good chunk of the race. These two kept me honest and constantly look back. Congrats gentlemen on a hard fought effort. Both of your performances were awesome! It was so great to see all of the inspiration out there on the course. It has given me more fire than ever before to train smarter and hopefully run with heart and spirit in my next events. I love the community of ultra running and ever Virgil participant should be very proud of their accomplishments.